The text of collection with a historic value belongs to the chief curator of the museum, PhD on art criticism, and member of the artist's family, Parzad Abdinova, the Museum said. Deputy Minister of Culture and Tourism Sevda Mammadaliyeva, honored art worker of Azerbaijan Ziyadkhan Aliyev and famous Azerbaijani artist Huseyn Haqverdiyev made speeches at the ceremony. Speakers told about Sattar's life and career, stressing his invaluable contribution to the development of national contemporary art. The visitors enjoyed incredibly beautiful art, once published in Communist newspaper. Laureate of the National Award and the founder of lyrical landscape in the fine arts of Azerbaijan, Sattar Bahlulzade was born in 1909 in the village of Amirjan, in about half an hour's drive east of Baku. Strong passion for art since childhood gave him the drive to began his professional education at the National Art Institute in Baku (1927-1931). Then, he began to work with Azim Azimzade at Communist. Bahlulzade entered in 1933 the department of graphic arts of Moscow Institute of Arts named after V. Surikov, where he studied in the workshops of famous Soviet graphic artist Vladimir Favorskiy. For the rest of his life, the artist felt the enormous influence of his teacher, who inspired a love of beauty in his student. The first personal exhibition of Bahlulzade was held in 1966 in Prague. 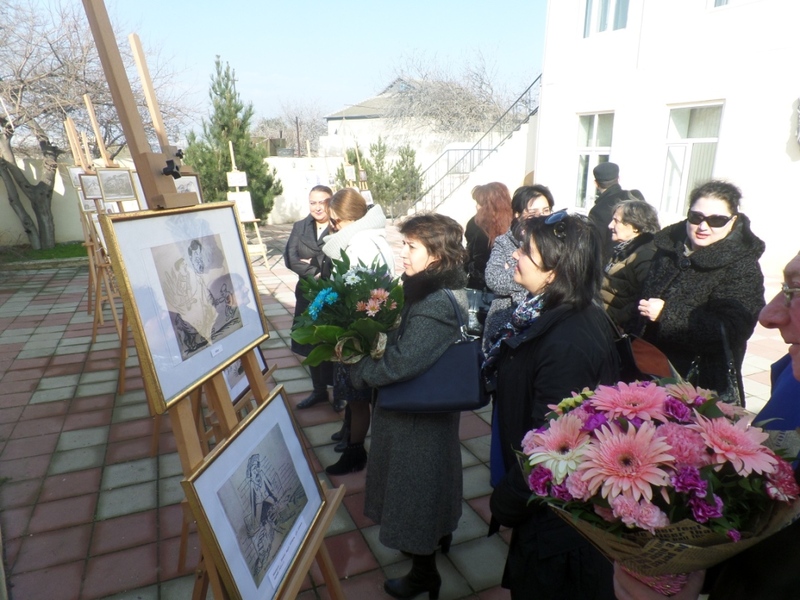 It was the first personal exhibition of a soviet Azerbaijani artist in Europe. Many of his works include specific areas of Azerbaijan, for example, a series of landscapes dedicated to Guba area (in the north-east of Azerbaijan,): “The Shore of Gudiyalchai”, “A Road to Gyz-Benevsha”, “The Valley of Gudiyalchai”, and “The Green Carpet”. In 1940, Bahlulzade worked on his final project "Revolt of Babek", dealing with a great hero of the 7th-century struggling against the Arabic invasion. Bahlulzade died in 1947 due to the blood poisoning. Unlike other prominent art workers, he was laid to rest in his native village of Amirjan, next to his mother's grave. The 34th UNESCO General Assembly issued a resolution to mark the 100th anniversary of Sattar Bahlulzade in 2008-2009.